I just love when I come across something completely new and unique. There’s obviously a TON of creative stuff out there and we all pull inspiration from everywhere and add our spin to it but it’s refreshing when you come across something that’s not really like anything you’ve seen before. 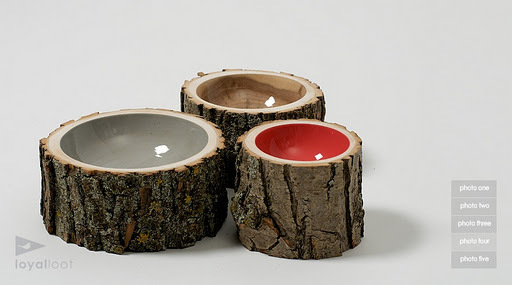 That’s how I felt when I saw these amazing log bowls by Loyal Loot Collective (via Scrap Hacker.com). Doha Chebib is the specific designer behind these beauties which she designed for CABIN, a design exhibition by Canadian creative studio Motherbrand that explored Canadian symbols and myths. There really isn’t anything about them that I don’t love. I think contrast just works so well in any kind of design. 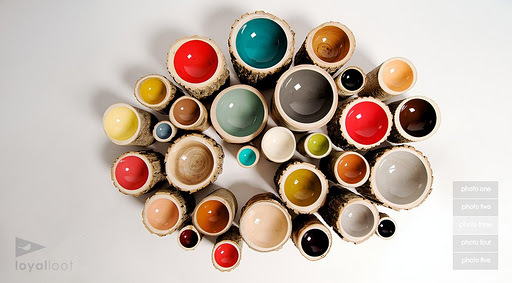 Here the glossy, colourful and smooth bowl interior pops so much in contrast to the earthy, rough and brown exterior. I think anyone of these would stand out on it’s own but the impact of having a grouping of them is just that much more impactful. 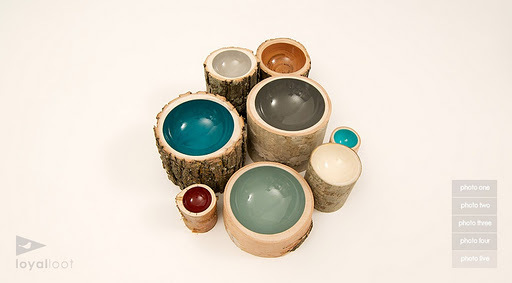 Of course I would definitely gravitate towards the bright colours if buying these for my own space.